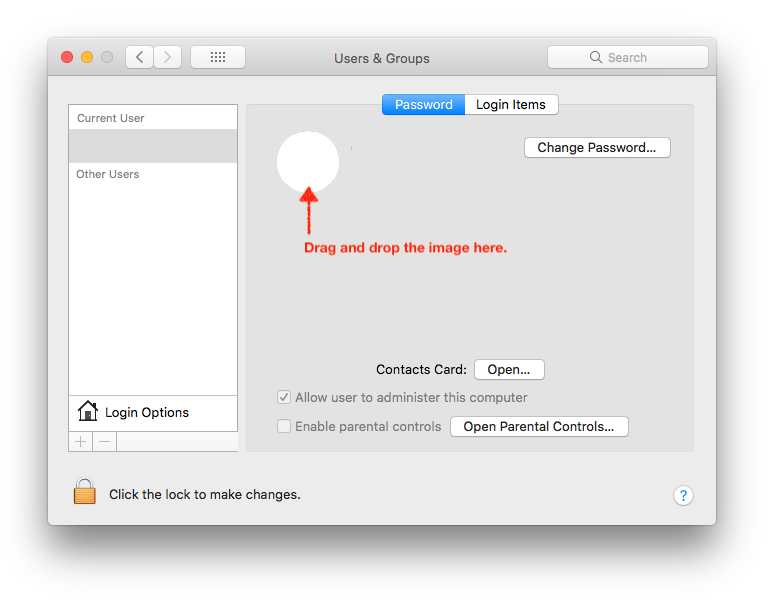 For macOS Sierra I am trying to change the login image. I am going to System Preferences → Users & Groups and clicking on the edit button on the image. An image selection popup appears. I have to add an image to any of the location so that I can select that images (I downloaded from internet) but none of the location is accessible. There are locations like "Photo Booth" "iPhoto" "Photos" etc but I couldn't find the location where I can copy my newly downloaded picture. Within the Users & Groups panel, click and drag the image onto the profile picture circle. Not the answer you're looking for? Browse other questions tagged macos login system-prefs . Is it possible to export from the Photos app without the dual dialogs?